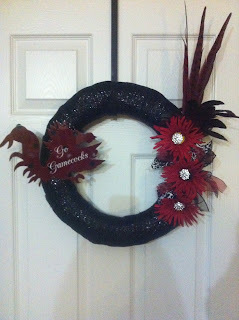 You don't have to be crafty to create a cute Gamecock gameday wreath to adorn your front door. 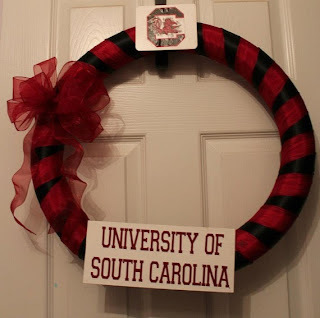 All you need is a glue gun and some cheap supplies from your local Hobby Lobby store or Michael's store. 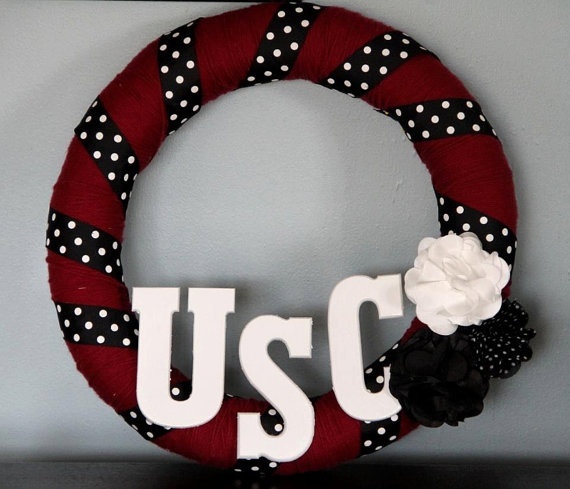 We found this adorable ribbon wreath on Etsy as inspiration. If you really want easy -- just visit this seller and buy the wreath! 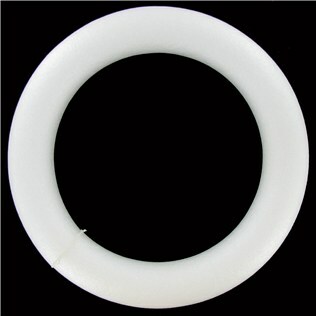 First you need to purchase your wreath base - you can get a simple round styrofoam wreath base from Hobby Lobby. 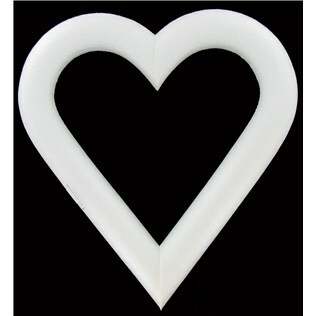 You can also try a fun shape as your base, like a heart. 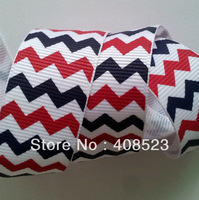 Next, buy some fun chevron ribbon. 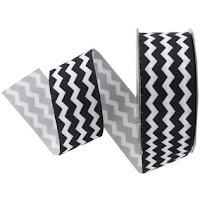 Hobby Lobby has a great selection, but you can find lots of different ribbon for affordable prices online too. 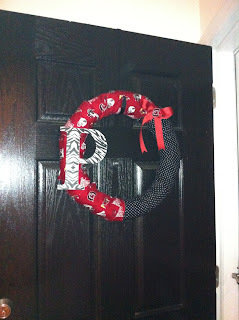 Buy one to two rolls depending on how much you get - you'll need enough to cover your wreath base. Finally, get some fun adornments for your wreath. 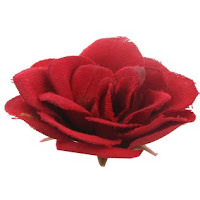 These garnet-shaded fake flowers from Hobby Lobby would be perfect. 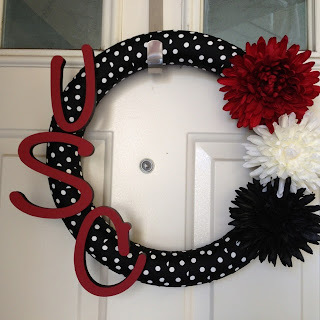 To build your wreath... Take one end of the ribbon, and glue it to the wreath base. You could also use a straight pin if your base is styrofoam and just pin it to the base -- using straight pins instead of glue will allow you to reuse your wreath base if you want to make a different wreath or change up your design. 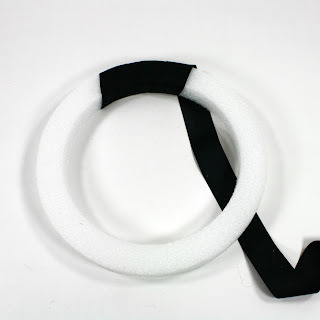 Wrap the ribbon around the base, overlapping about 1/4 to 1/2 an inch. 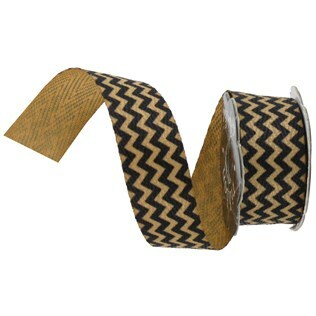 Glue (or pin) down the ribbon about every four to five wraps to keep ribbon secure and to keep from unraveling. Continue wrapping until you get back to your starting point. Glue or pin the other end of your ribbon. Your wreath base should now be covered in the ribbon. To finish, take some of your flowers (or adornments) and glue (or pin) them to the bottom corner of your choice. Take some extra ribbon and create a loop to glue or tie to the top for hanging. 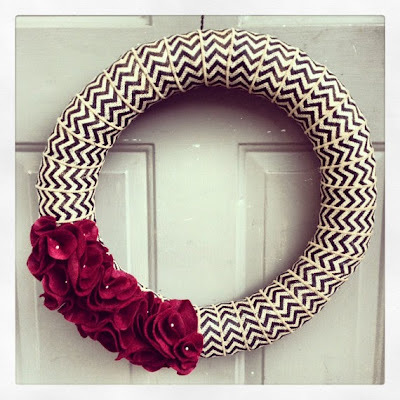 Here are some other examples of ribbon wreaths to inspire you. You can be as creative as you want!